This course provides information about how to create advanced stored processes that prompt the user for input and create different types of output. Create and register stored processes from SAS programs. Design dynamic stored processes that prompt users to enter parameter values. Create different types of stored process output. This course builds on the knowledge gained by attending the Creating Stored Processes Using SAS® 1: Essentials course. That knowledge is required. To be completely successful in this course, an understanding of SAS programming and the SAS macro language is required. You can gain the necessary SAS programming knowledge by completing the SAS® Programming 1: Essentials course and the SAS® Macro Language 1: Essentials course. This course addresses SAS Analytics Platform, SAS Stored Process Server software. 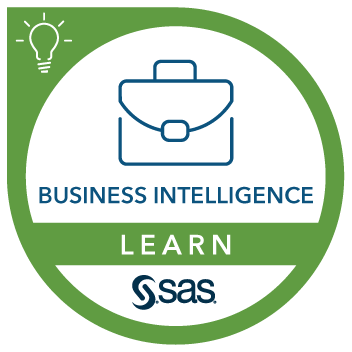 Exploring SAS Stored Processes and the Platform for SAS Business Analytics. Recognizing the stored process metadata and program elements. Constructing a stored process using a SAS program. Investigating the SAS prompting framework. Working with prompt macro variables. Using SAS tables as input data. Running a stored process from SAS program code. Using a Microsoft Excel worksheet as input data.